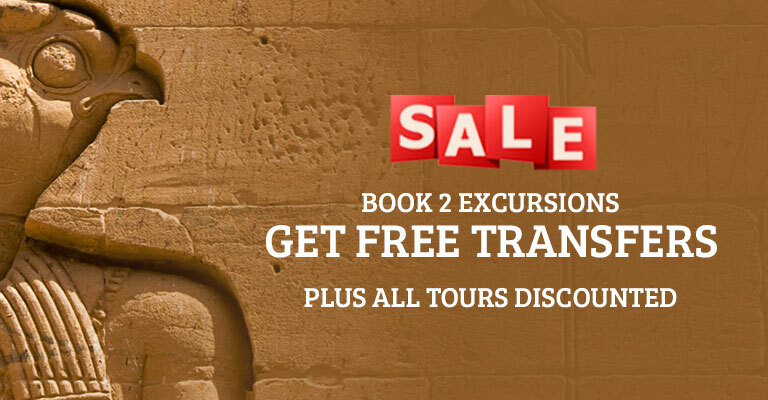 The ultimate excursion to see almost all the big sights Egypt has to offer throughout Luxor, Cairo and Alexandria. A busy 3 days but a dream for any fan of Egyptian history. There are 2 different packages so you can choose which is best for you, departing on either Tuesday or Thursday. 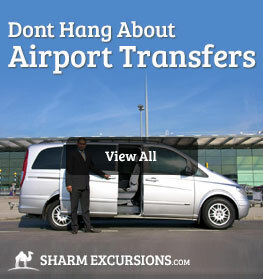 We pick up from hotel at 07:15 am and transfer you to Sharm airport, from here you will fly to Luxor by Egypt airline at 08:40 am for 50 minutes . On arrival at Luxor airport approximately you will be met by your English speaking Egyptologist tour guide. You will start the tour of Luxor by crossing over to the West Bank to visit the Valley of Kings where, for a period of nearly 500 years from the 16th to 11th century BC, amazing tombs were constructed for the Pharaohs and powerful nobles of the New Kingdom of Egypt. The valley is known to contain 63 tombs and chambers ranging in size from a simple pit to a complex tomb with over 120 chambers. Next up is the Temple of Queen Hatshepsut, widely considered one of the "incomparable monuments of ancient Egypt", the Mortuary Temple of Queen Hatshepsut is located beneath the cliffs at Deir el Bahari on the west bank of the Nile near the Valley of the Kings. After seeing the fantastic temple you will be taken to a resturant for a 5* lunch before visiting Karnak Temples. The Karnak Temple Complexï¿½usually called Karnak ï¿½comprises a vast mix of ruined temples, chapels, pylons, and other buildings, notably the Great Temple of Amun and a massive structure begun by Pharaoh Ramses II. The complex is a vast open-air museum and the largest ancient religious site in the world. It believed to be the second most visited historical site in Egypt, second only to the Giza Pyramids near Cairo which you will be seeing later on the tour! Take some time after your day seeing the ancient monuments and temples of Luxor to relax, have a look around the bustling markets or sit in of Luxor's cafes with a cup of Egyptian tea. Time to fly to Cairo after stopping off at the Statues of Memnon, two massive stone statues of Pharaoh Amenhotep III. For the past 3400 years they have stood in the Theban necropolis, across the River Nile from the modern city of Luxor. The 2 massive structures always leave our guests asking our tour guides the same question - how did they do it? After a short flight (45 minutes) from Luxor you arrive in the amazing city of Cairo, where our rep will be waiting to take you to your B&B for the night. Your day in Cairo will begin at 8.30 where an air-conditioned private car will pick you up from your hotel and take you to the Egyptian Museum. Built in neo-classical style, designed by the French architect Marcel Dourgnon the museum exceed 120000 masterpieces ranges from pre-dynastic era, Pharaonic era to the Greco-roman period in Egypt and includes the treasures of the child King Tutankhamen, Pharaonic Gods and Goddess. You may also visit the mummies room at the Egyptian Museum for a background about the Egyptian civilisation and the mummification art in ancient Egypt. The oldest of the seven wonders of the ancient world, the Pyramids of Giza are the very reason alot of people come to Egypt, and seeing them close-up never disappoints. Constructed over a 20 year period concluding around 2560BC, the pyramids of Cairo was the tallest man-made structure for over 3,800 years, to this day we still do not know for sure exactly how they were built, although there are many theories. During the Cairo tour we will give you much more information on the amazing Pyramids of Giza, and any questions you may have will be gladly answered by your Egyptologist tour guide. After you have seen the pyramids of Cairo, your next stop will be the Sphinx. 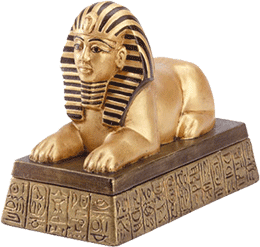 The Great Sphinx of Giza is a mythological creature, formed of a lions body and a human head. Standing over 73metres long and 20metres high, the The Great Sphinx of Giza is the oldest known monumental sculpture, and is commonly believed to have been built by ancient Egyptians of the Old Kingdom in the reign of the pharaoh Khafra. During the tour of Cairo, you will find out how the nose of the Sphinx was broken off by Napololeon's soldiers, which can still be seen today. Next up is a break for some lunch on the Nile, this will be a large buffet with foods to cater for all followed by some time for shopping in the world famous bazaars of Cairo. After a busy day seeing the sights of Cairo you will be transferred back to your hotel in Cairo for the night. On the final day of the 3 day tour you will be picked up from your hotel after breakfast and will be driven to Alexandria, about 2 hours away. The Graeco-Roman Museum of Alexandria in Egypt was created in 1892. It was first built in an 5-room apartment, inside one small building in Rosetta Street (later Avenue Canope and nowadays Horriya). Housed within an historic building whose beautiful neo-classical facade of six columns and pediment bears the large Greek inscription, `MOYï¿½EION`, the Museum consists of 27 halls and an attractive garden, which offer an excellent introduction to the Greek and Roman art of Egypt. After leaving the museum you will visit Pompey Pillar. Pompey's Pillar is a Roman triumphal column in Alexandria and the largest of its type constructed outside of the imperial capitals of Rome and Constantinople. The only known free-standing column in Roman Egypt which was not composed of drums, it is one of the largest ancient monoliths and one of the largest monolithic columns ever erected. The monolithic column shaft measures 20.46 m in height with a diameter of 2.71 m at its base. The weight of the single piece of red Aswan granite is estimated at 285 t. The column is 26.85 m high including its base and capital. Erroneously dated to the time of Pompey, the Corinthian column was actually built in 297 AD, commemorating the victory of Roman emperor Diocletian over an Alexandrinian revolt. Beyond the Street of Facades lies the Theatre, which was constructed in the early 1st century AD by Nabataeans and enlarged and improved by the Romans shortly after their annexation of the Kingdom in 106 AD. They accomplished this by ruthlessly gouging away a street of houses or tombs in order to extend the rear of the auditorium, which could then accommodate 3000 people. This also improved the acoustics of the theatre and supported a drain, which took the run-off water around the sides of the theatre. The standard Roman-design theatre today lies open to the Outer Siq, but would originally have been enclosed by a wall and completely cut off from the street. After seeing the sights of Alexandria we go to the city centre for lunch before visiting the National Museum of Alexandria. Your third day of the tour is finished and we will transfer you back to Sharm, where our rep will be waiting for you to take you back to your hotel. 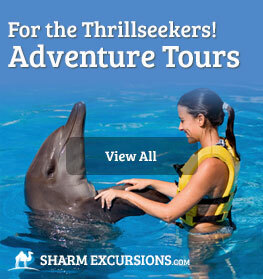 We were so pleased with this trip and with the level of organisation from Sharm Excursions. From the day we booked it to the 3-day excursion itself, the professionalism was excellent - everything was properly organised, we were kept informed throughout. 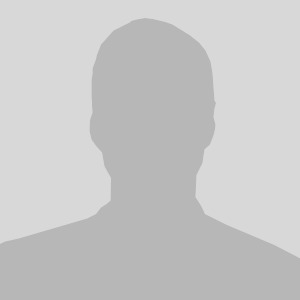 We could contact Mohamed any time for an immediate answer and he took the trouble to join our group personally in Cairo, to check everything was going well. 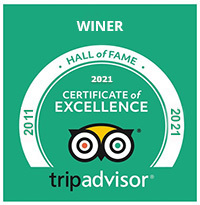 The excursions were excellent and our tour guides - Wael and Said - were superb, well informed and friendly. We really enjoyed Wael's company in Cairo and Alexandria and thanks to him for showing us real Egyptian food! I am grateful to Said for helping my husband to sort out the shopkeeper who swindled me out of a large amount of money in Luxor. 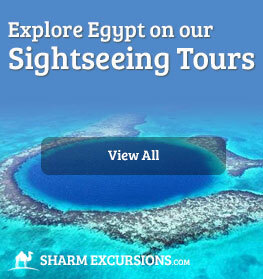 We will certainly use Sharm Excursions again and have no hesitation in recommending it to others. 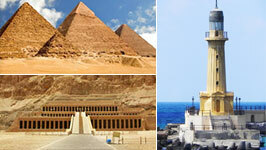 Before arriving in Sharm, we had booked the three day private trip to Cairo, Alexandria and Luxor by plane. Mohammed, the tour operator, was fantastic in responding to any questions and requirements we had. Once a small deposit was paid, we were informed that a colleague would meet us at the hotel. The Rep was on time, and explained the program for all days clearly. We were collected from our hotel and driven to the airport. Once arriving in Cairo, we were met by our Tour Guide, Maya. She was again fantastic, very knowledgeable, considerate, friendly. She explained everything clearly, and left us no room to ask her any questions. We visited the Pyramids, Sphinx, Egyptian Museum, Muhammed Ali Mosque, Perfume Shop, A Papyrus Institute and had a lovely ride on a felucca to have lunch. The hotel arranged for us in Cairo was fantastic, with a beautiful view of the pyramid. Our second day was in Alexandria, again with Maya. Here, we visited the Catacombs of Al-Shukafa, Pompey's Pillar and the Library, with lunch, again in a beautiful restaurant towards the Mediterranean Sea. We then flew out to Luxor, and met our Tour Guide, Hamada. Again, the hotel was lovely. 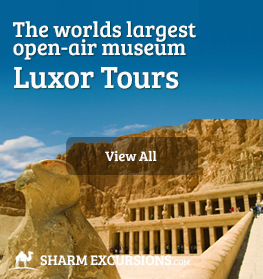 Our day in Luxor started with a hot air balloon ride over Westbank, which was marvellous, We visited the Factory of Statute, Valley of the Kings, Hatshepsut Temple, felucca ride for lunch and the Karnak Temple. 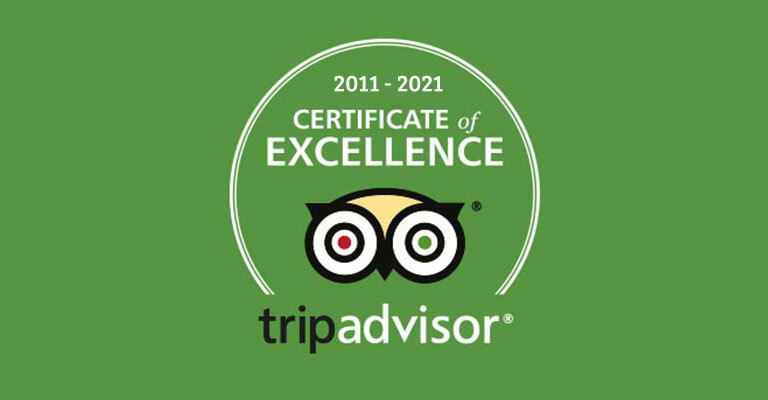 We had a slight problem with the tour guide's attitude, however, once we called and spoke to Mohammed, he was very considerate and arranged other attractions for us, to try and make our day more enjoyable. He was successful...lol...!! 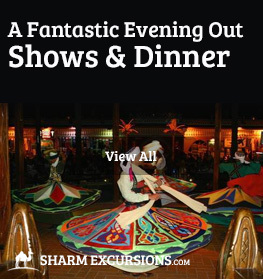 These three days with sharmexcursions were so fantastic, that once we arrived back in Sharm, we also booked the Crocodile and Snake Show, Glass Boat and Alif Leila Wa Leila (1001 Nights Show), with the Rep being Mahmoud. Sharmexcursions is a very well organised company. All transfers in vehicles were all fully air-conditioned. Time-keeping was great from their side at all times, and for all excursions, and all the staff we met were brilliant. They were friendly, helpful, and basically treated us like family, all going out of their way for us. 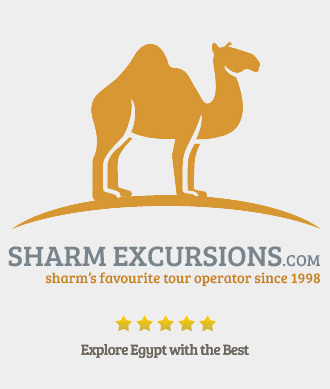 If I was to ever visit Egypt again (which is more than likely), I would definitely book our excursions with them, as well as, highly recommend this company to all. 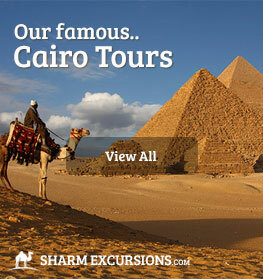 I can honestly say, sharmexcursions is the best tour agency in Egypt. Their prices are very reasonable and a lot cheaper than other companies. A great Thank You to Mohammed, Mahmoud, and Maya for making our trip most memorable and amazing. Thank you Mohammed for a great trip and for looking after us so well. We booked the 3 day trip to Cairo, Alexandria and Luxor to see all of the main sites; all of our guides looked after us well, were knowledgable and spoke fantastic English. If you want to see the real Egypt this is the way to do it. Special thanks to Wael our guide in Alexandria who we had such a good laugh with. We also booked our transfers, the boat trip to Ras Mohamed and the quad biking to watch the sun set with SharmExcursions and every trip was well organised and great value for money. 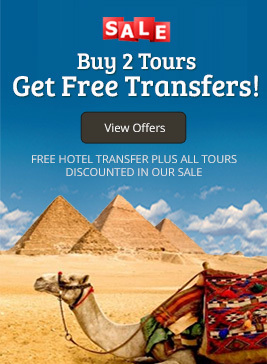 Hello, I really like the look of the 3 day Cairo, Luxor and Alexandria excursion. I will be staying at the GHAZALA GARDENS with my wife and two children from 14th August until 28th August. What dates do you run the tours in English please? 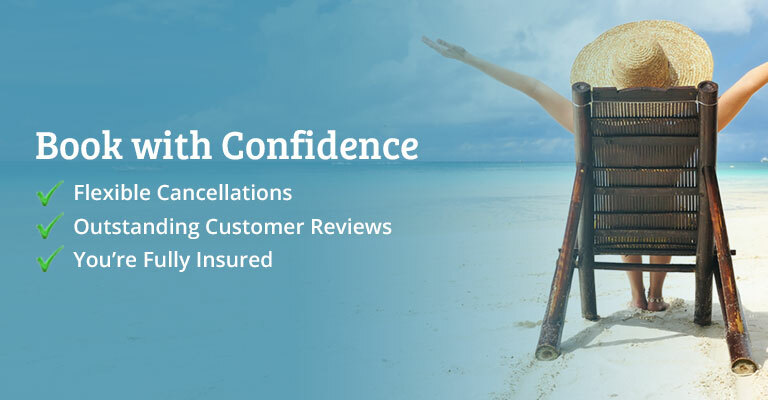 You mention discounts for taking multiple trips, can you offer a discount for four travellers? Enjoy our offer of booking more than one excursion on line (5% discount for the flight excursion & 7% for all the other) All of our tours are in English, and run all year round.